Good evening all! 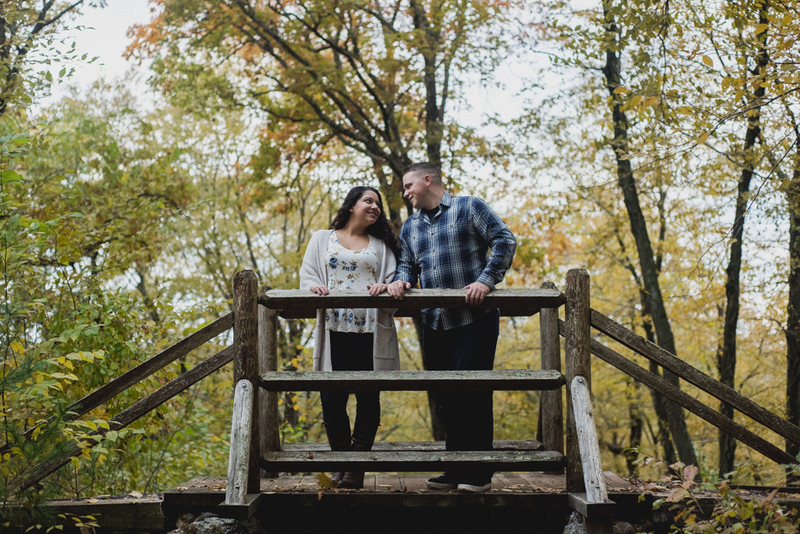 Happy to share with you our engagement session with Chris and Kirsten. Fall is our favorite time of year. I think this is the case for most. 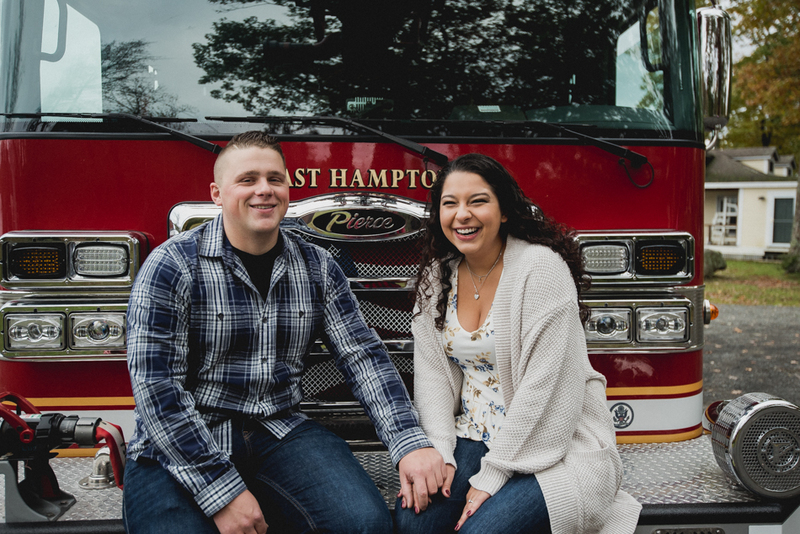 So we were thrilled when we were presented the opportunity to hang out with Chris and Kirsten for the afternoon, and photograph these two. The timing couldn’t have been more perfect, as we hit the peak of foliage season. 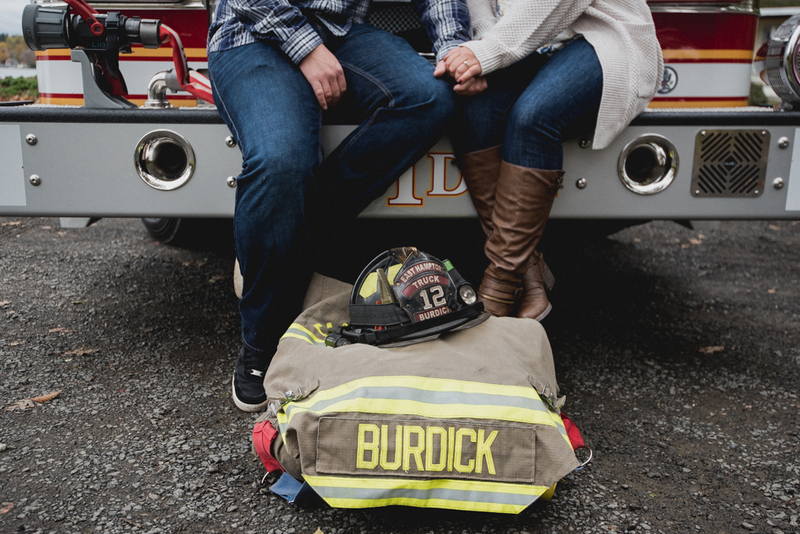 Chris a fireman, and Kirsten a lover of dogs, so it only made sense to incorporate their passions into their engagement shoot by bringing along what else?! A firetruck and their dog. 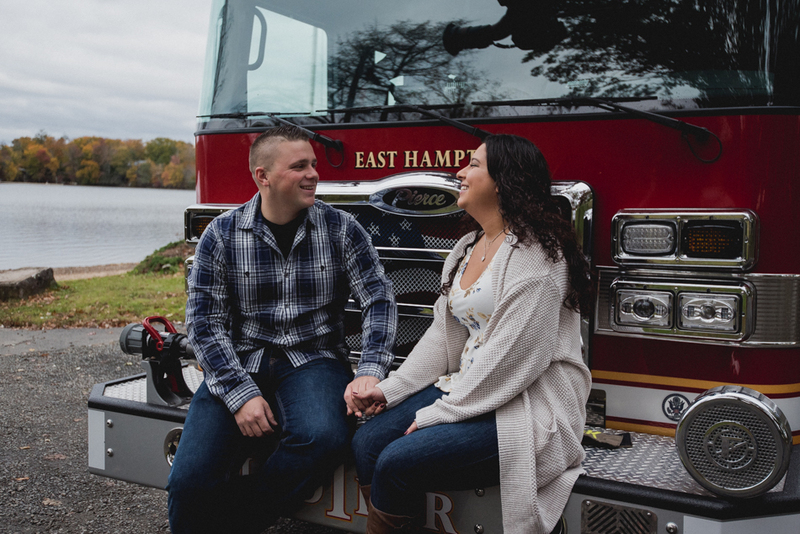 We started off at a local park where one of Chris’ buddies was able to meet us with the towns firetruck. 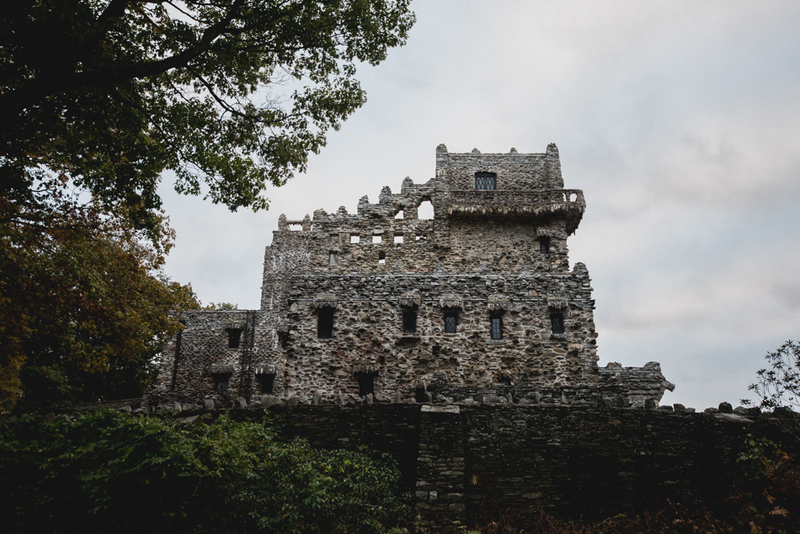 From there, we headed down to Gillette Castle State Park. Everyone else and their mothers had the same idea to use the park for some photos. After dodging and weaving our way around everyone we ended up off the beaten path to begin shooting. We worked our way up to the castle as the crowds began to thin out. It was a great few hours spend with these two (and their pup as well). So much so that we lost track of time and closed the park down. It was good to get out and make use of what fall in New England has to offer. Thanks again, Chris and Kirsten!